Hi, I’m so glad you’ve stopped by! 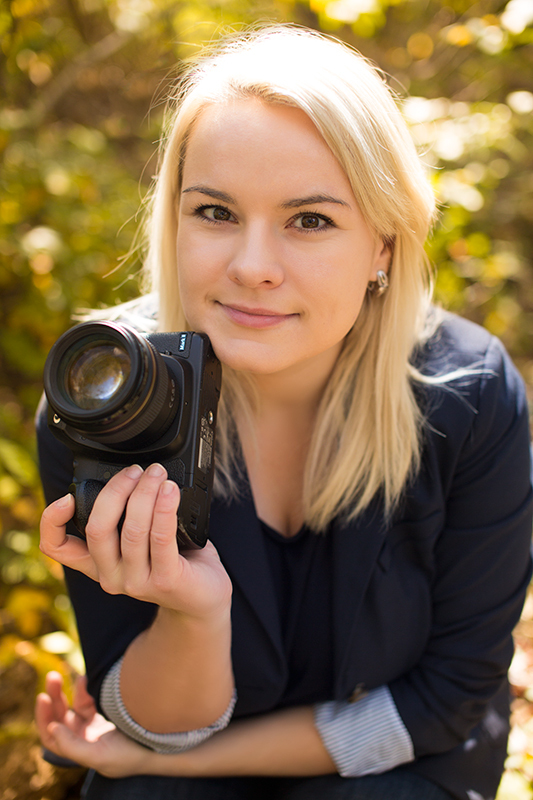 My name is Ksenia and I’m a wedding, fashion and glamour portrait photographer based in suburban Maryland (Washington DC metro area). I quit my job in finance 4 years ago to follow my true passion for photography, and I never regretted ever since. While I was discovering my style and vision as a photographer, I realized that I’m truly passionate about beautiful portraits – timeless, classy, yet modern. That’s why I’m all about bringing glamour and fashion photography into lives of everyday women. I came up with the idea of glamour and fashion inspired photo sessions for women of all ages, sizes and backgrounds. As a wedding photographer, I also capture moments and portraits the way you would see them in a glamour magazine. Extensive background in fashion and portrait photography helps me discover and define the beauty of people I photograph. I truly care about each of my clients and always bring the best of them in the photographs. I’m a little bit of a perfectionist when it comes to images, just because my clients deserve very best. Photo editing is one of my strongest skills, which allows me eliminate all the distractions and bring out the essential beauty of people in the picture. Only diamonds cut to perfection can truly shine and stand out. My goal for every session is to create a beautiful portrait that they get to keep for a lifetime and hopefully pass down generation to generation in their family. I’m still impressed with the photos of my great grandparents my mom was carefully keeping as a family relic. Those days people were lucky to have at least one photo of themselves, and it was very valuable. Now, when I’m taking pictures, I’m always trying to imagine that these are the only portraits my clients get to have, so they have to be very best. A great photograph can change the way you see the world, a great portrait photograph can change the way you see yourself. I was born and raised in Russia, and I’m very grateful for all the opportunities I had when I was growing up. In addition to excellent general education, I studied visual arts, foreign languages, music and literature, which helps me now with my creative vision. When I’m not taking beautiful portraits, I can be found decorating my new home, hanging out and traveling with my amazing husband, creating nerdy spreadsheets or enjoying long walks by the lake. Some of my clients describe me as “easy going”, “professional”, “creative”, “with a patience of an angel” and even as “the best photographer in DC area”. I recently moved and settled down in Boyds, Montgomery County, Maryland. I’m currently setting up and decorating my new photography studio at my home. I also travel a lot around DC metro area and nationwide.